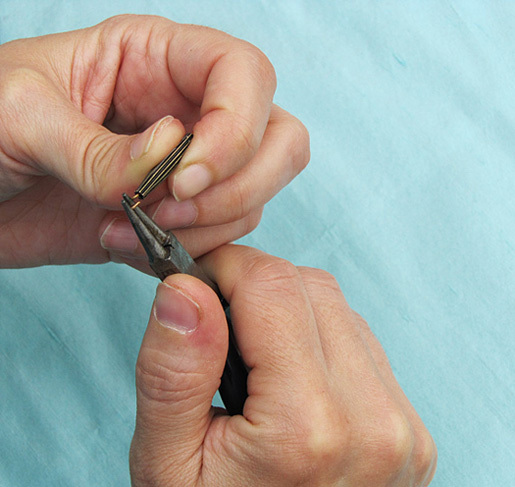 Making loops with a head pin or eye pin is the first basic step you will learn in jewelry making. 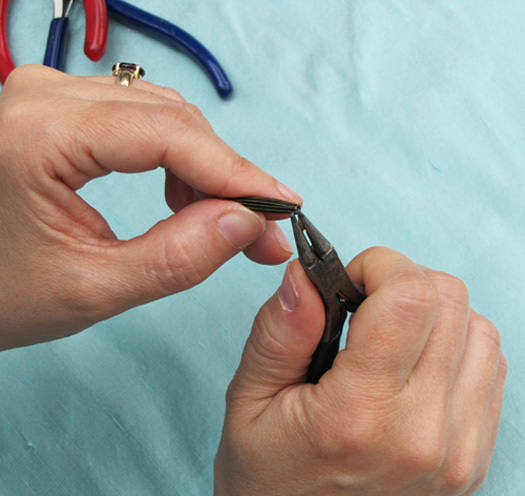 Simply follow the instructions below and you will be an expert in no time! 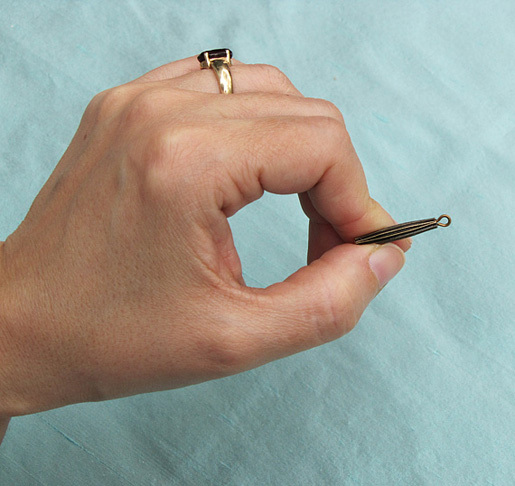 1) Thread the head pin through your bead of choice. 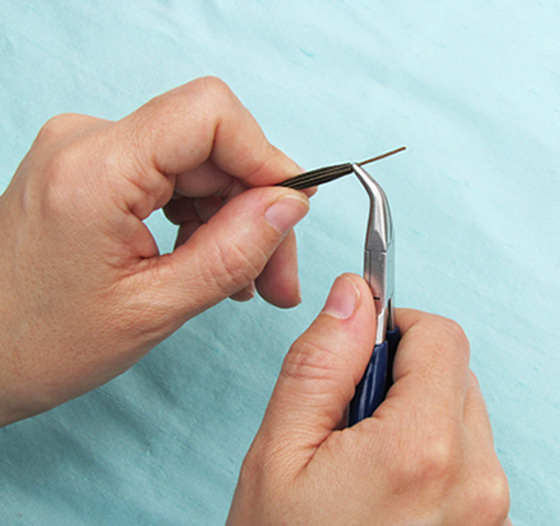 2) Holding the bead firmly to the bottom of the pin, use your bent nose pliers and bend the pin to a 90 degree angle making sure not to leave a gap between the bead and the start of your bend. 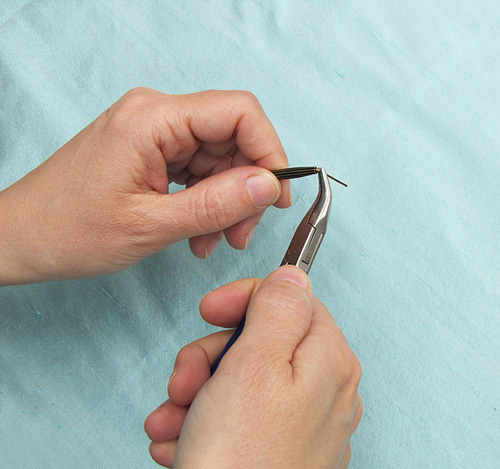 3) Using a pair of side cutters, trim the head pin leaving only about 5/16"
4) Hold the round nose pliers at the end of the pin and start to turn the pin gently towards the bead making sure to keep the pin aligned in the same direction. 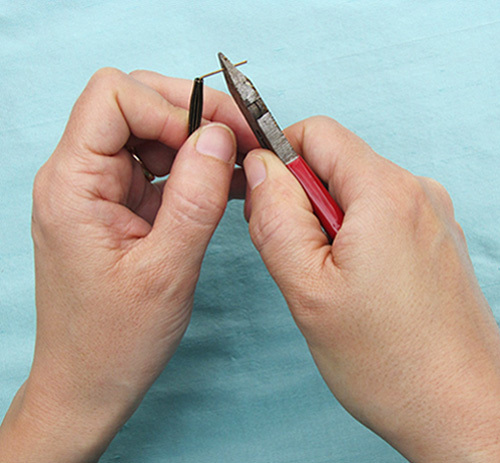 5) Tip: if the loop appears too elongated or not round enough you need to position the pin further down on the pliers onto a larger area and that will ensure a nice rounded shape. 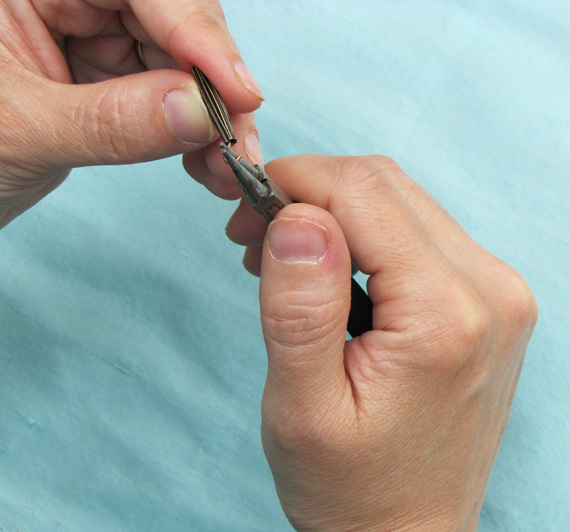 6) Keep turning gently until the end meets the top of the bead without a gap. 7) Done! Now keep turning those loops!